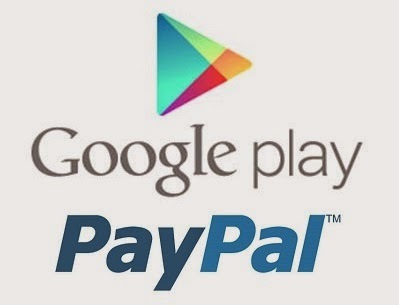 Android users now have the option to purchase apps, music, games and more in Google Play – after it was announced on Thursday that PayPal would be offered as an acceptable payment method on the Google Play app store. Digital content is now available for purchase in more than 12 countries, including: Austria, Belgium, Canada, Finland, France, Germany, Ireland, Italy, Netherlands, Spain, the UK and the US. Speaking about the PayPal implementation, Google Play Product Manager Ibrahim Elbouchikhi said: “Were hoping to fuel this momentum by making Google Play payments easier and more convenient for people around the world. Using PayPal as a Google Play customer is simple – open ‘Play’, and when you need to make a purchase, select the ‘Payment Options’ feature which will then give you the option to use PayPal. Fill in your PayPal account details, and your payments service will then be activated. “Our goal is to provide users with a frictionless payment experience, and this new integration is another example of how we work with partners from across the payments industry to deliver this to the user,” explained Google in a statement. Google announced that Play sales have increased by more than 300 per cent over the past year, while two-thirds of existing Play sales are undertaken outside of the US. With Android apps in huge demand all over the world, it won’t be long before Google extends its PayPal reach to other countries very soon.